Agile HR … let’s get moving! An exclusive half-day workshop dedicated to the HR professionals community, formed in a way to provide best practices sharing combined with a hands-on workshop to tackle the most burning HR issues. To become (more) agile is a hot topic for many organizations. Whether initiated in IT-teams through their use of agile ways of working and spreading from there to other parts of the organization (scaling up), or because visionary leaders realize that the traditional ways of organizing work are no longer fit for the future and see that a big (mindset) shift is needed (transition) … in either scenario there is an important role to play for HR! 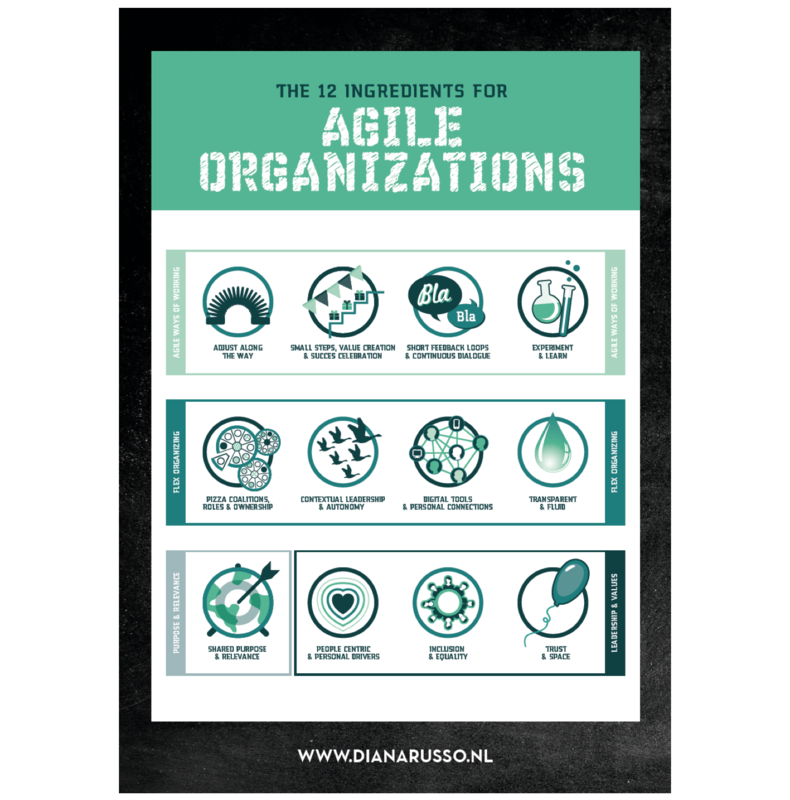 In this exclusive half-day workshop, dedicated to the HR-professionals community, Diana Russo will inspire you with The 12 Ingredients of Agile Organizations and will share her experience and best practices in helping HR and organizations to become more agile. You will discover in this hands-on workshop that there is no such thing as ‘one best recipe’ that fits every organization, but that each unique organization will need to discover its own recipe. Diana will trigger you to reflect on the state of agility in your own organization and especially in HR operations and tooling. We need to drastically change our ways of working in HR! So how and where to start? Let’s find out together! We'll put your name on a praying board and sing you agilelujah. See what we did, read what our speakers talked about.